What natural materials can be used outdoors? Natural materials, or natural loose parts, afford an array of open-ended play and learning opportunities, such as building, sorting, counting, and dramatic play. 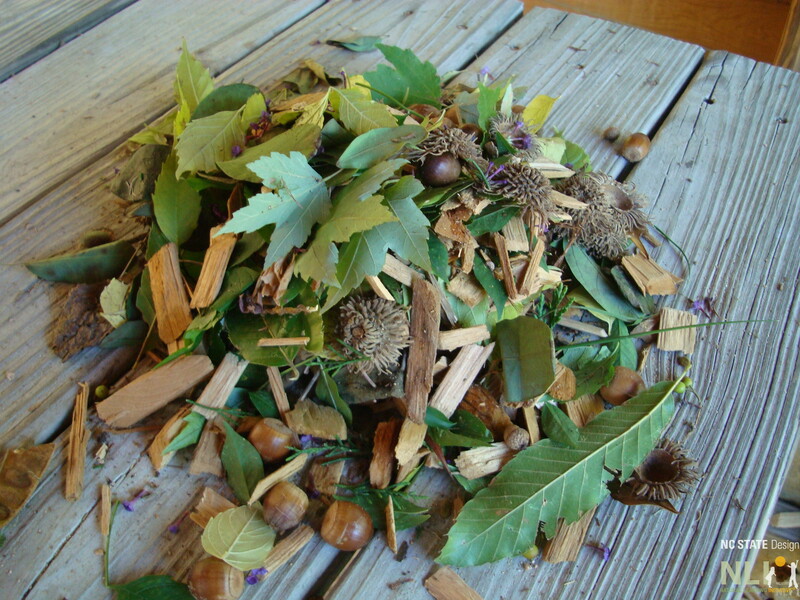 The availability of some natural loose parts, such as acorns and flowers, change with the seasons, while others, such as stones and branches, are available year round. Some outdoor learning environments are rich with natural loose parts, while others may require teachers and children to gather and bring in natural loose parts to supplement their outdoor learning environments. This pile of natural loose parts is evidence of exploratory play throughout the outdoor learning environment. A boy pushes a truck full of collected pinecones along the looped path at Kiddie Kollege ELC, Statesville, NC. 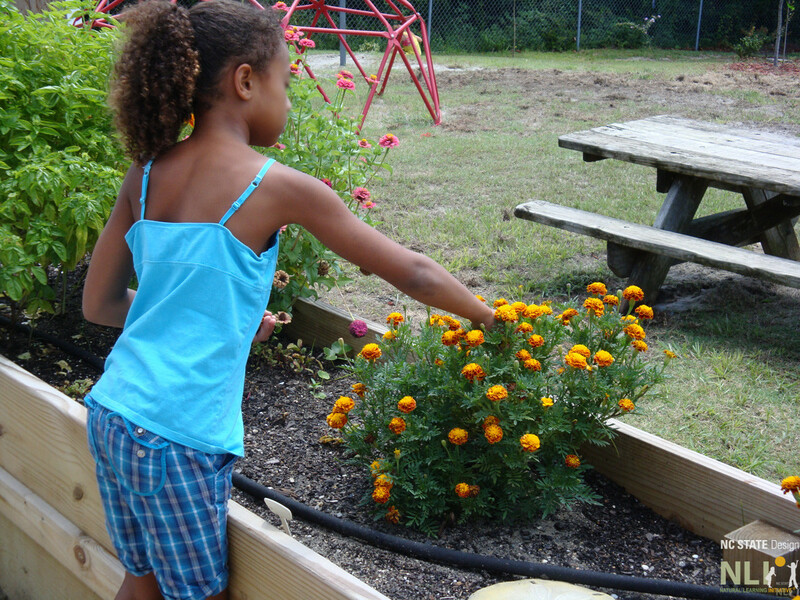 A girl collects dried seed heads from marigolds at Munchkin Academy, Buxton, NC. 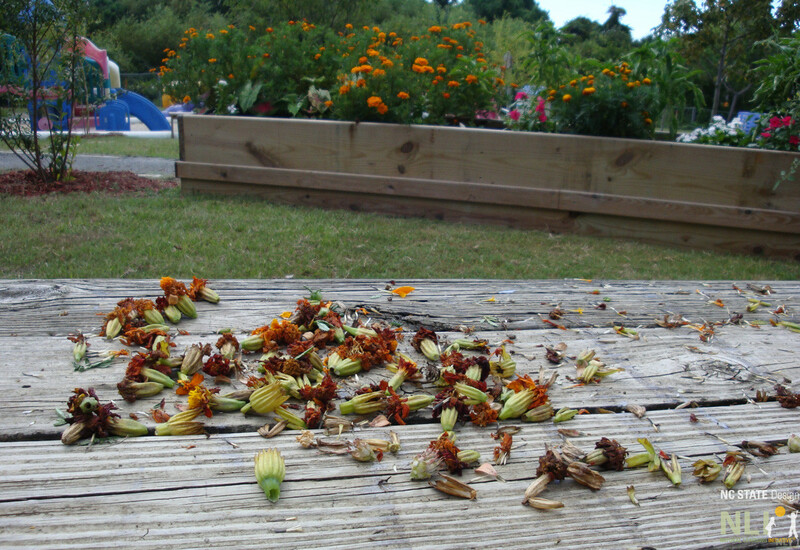 The results: A pile of thoroughly-explored marigold seed heads are evidence of play and learning. 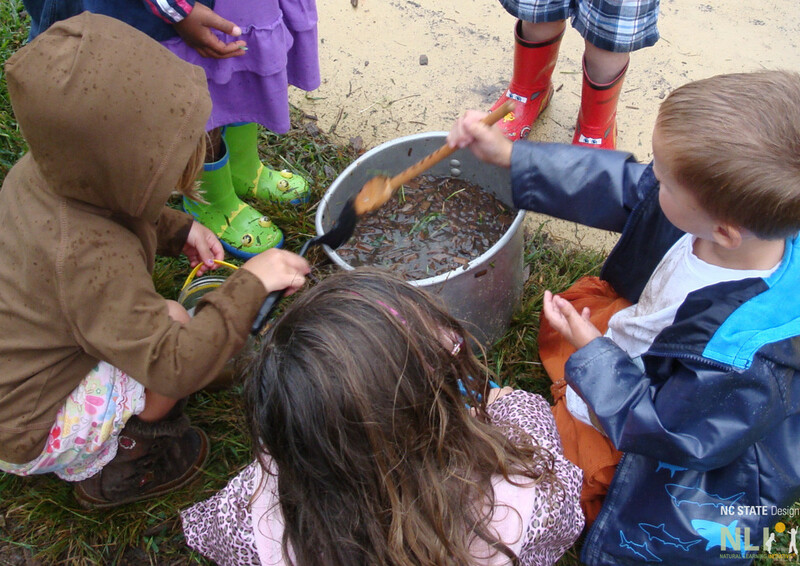 Children stir a pot of mud soup, which includes grass, leaves, mulch, water, and, of course, mud at Precious Memories Preschool. What do your children do with natural loose parts? What other natural loose parts have you used? Please send us your stories, photos, and ideas for natural loose parts.